Simply use this presentation to share ClassDojo with colleagues. You can also use the video version to effortlessly share a recorded training session with teachers in your school! All the resources you need for Back-to-School! 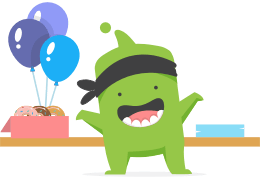 Share with parents how ClassDojo keeps them connected with you and your class. A simple, one-page letter for parents explaining ClassDojo. Visit the ClassDojo Helpdesk for amazing answers! DesvÃ¦rre kan vi ikke finde denne email. Ved tilmelding accepterer du vores ServicevilkÃ¥r og Privatlivspolitik.